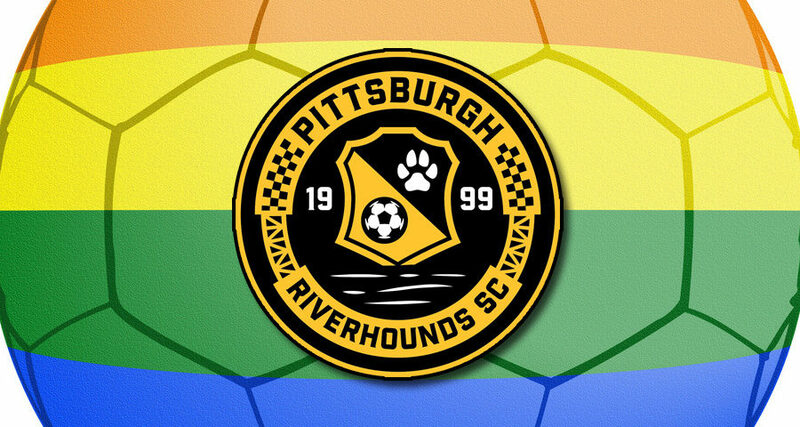 Come out for the Riverhounds 3rd Annual Night Out! Enjoy a night along the river at Highmark Stadium and cheer on your Pittsburgh Riverhounds as they take on Indy Eleven. Happy hour begins at 5:30pm in the Pub and the game kicks off at 7pm. – $5 donation/ticket to an LGBT charity to be announced! NOTE: The deadline to purchase tickets at this special price is Friday, May 4, 2018, at 11:59 PM. If you have any specific questions about Highmark Stadium or the Pittsburgh Riverhounds SC please contact DGlauch@highmarkstadium.com or call the box office at 412-325-7231. This event is in partnership with Delta Foundation of Pittsburgh, K&L Gates LLP, G2H2 Pittsburgh, and Stonewall Sports – Pittsburgh.